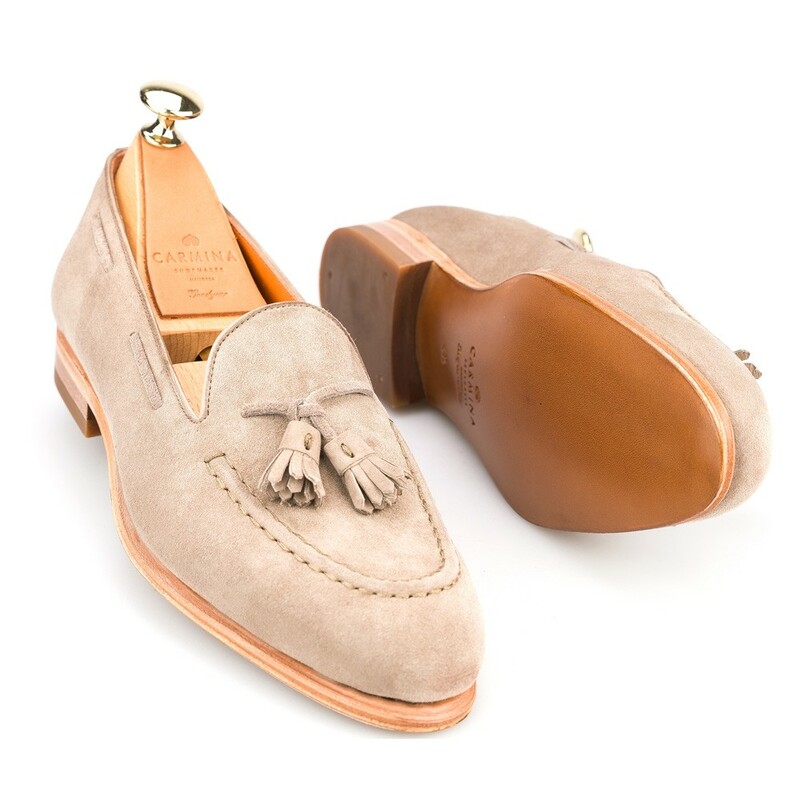 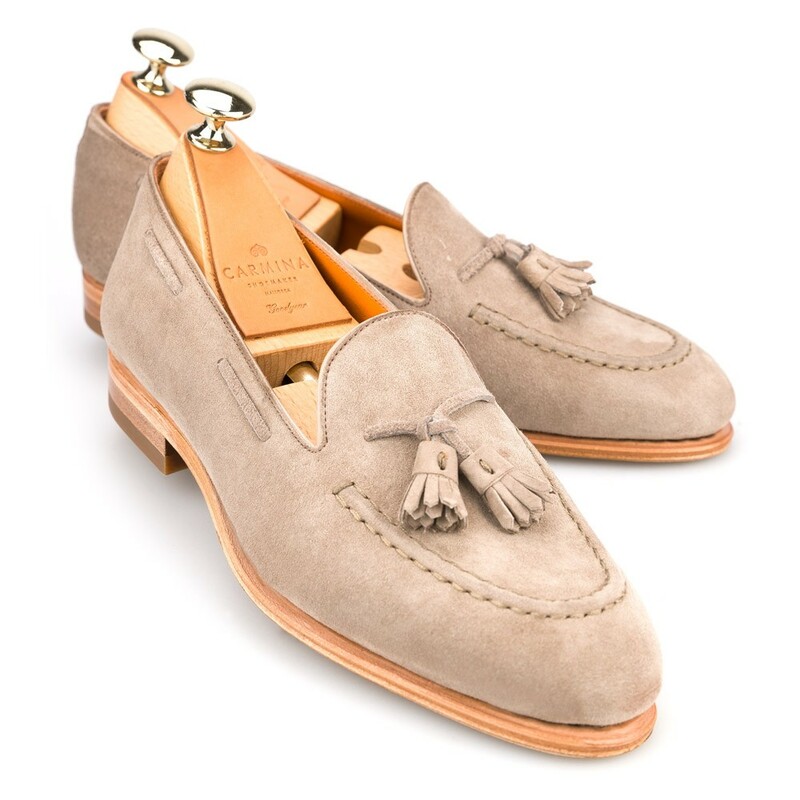 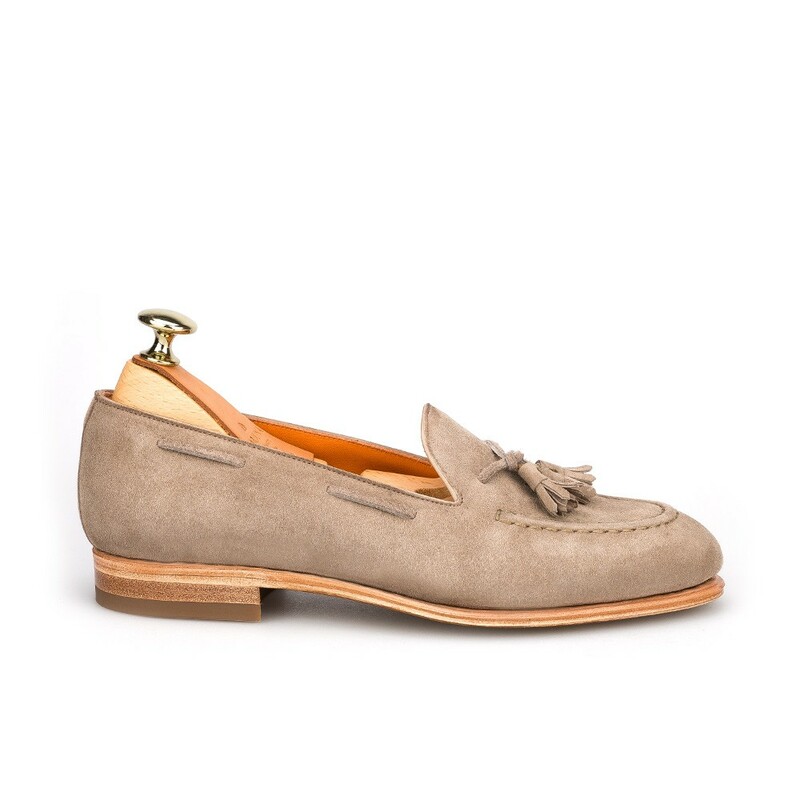 Tassel loafer in vison vogue suede. 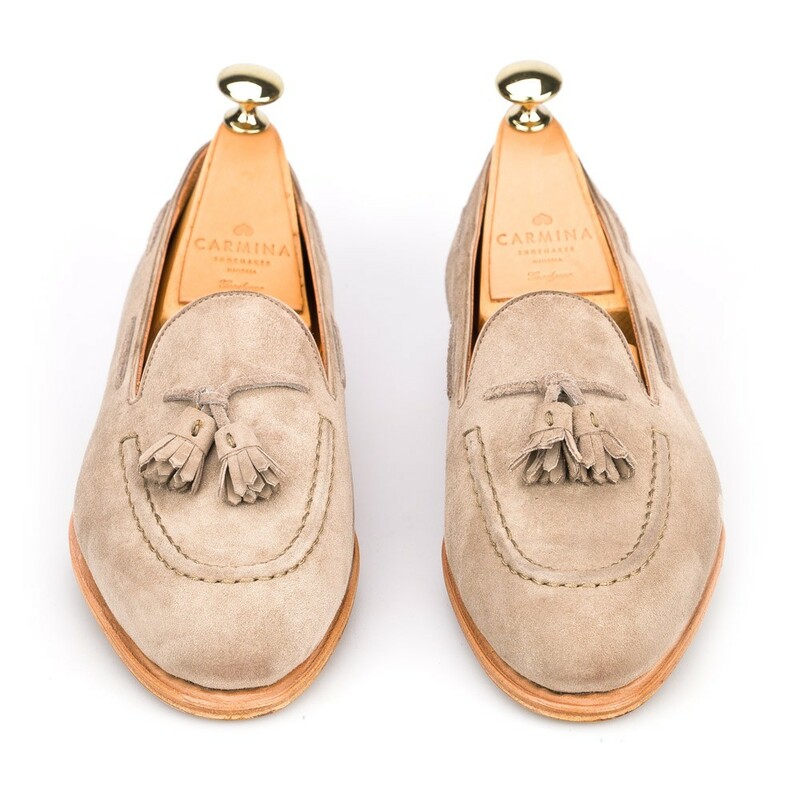 Feauturing a flexible leather sole with natural edges and kid lining. 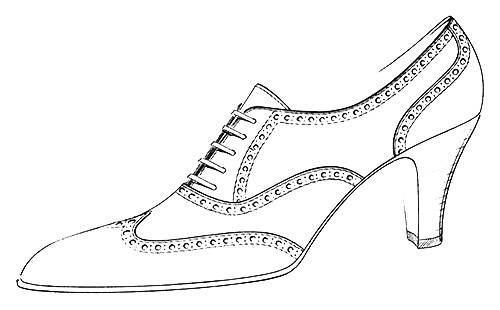 For this style we choose Drac 20 last.